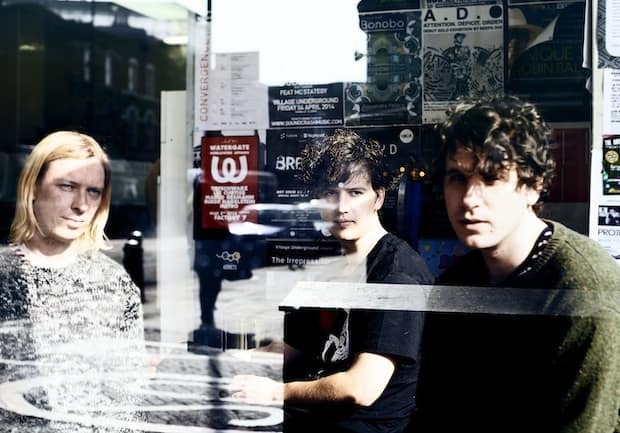 Listen to the second single from London-via-New Zealand trio Popstrangers’ sophomore LP. On the first single from their sophomore full-length, London-via-New Zealand trio Popstrangers split the difference between the crisp, early '80s guitar sound that their home nation is known for and the rainy, theatrical pop of their current UK address. Second taste "Don't Be Afriad" does that too, but with the lounge-singer bounce of the refrain (Don't be afraid my love), it feels a little more Parklife than anything from The Clean's discography. "It's a song that is about giving everything you have to a relationship but knowing that it's not enough," says lyricist Joel Flyger of the track, which is thematically heavy but sounds sunny, like stumbling out of a bar and realizing it's morning. "[It's about] desperately needing to know the truth about what's going on, even though its going to kill you to hear it." Popstrangers new LP, Fortuna, drops May 27th via Carpark.